Aesuculus parviflora is a highly attractive small tree that resembles more of a broad skirted shrub that tops out at around 10'-12'. 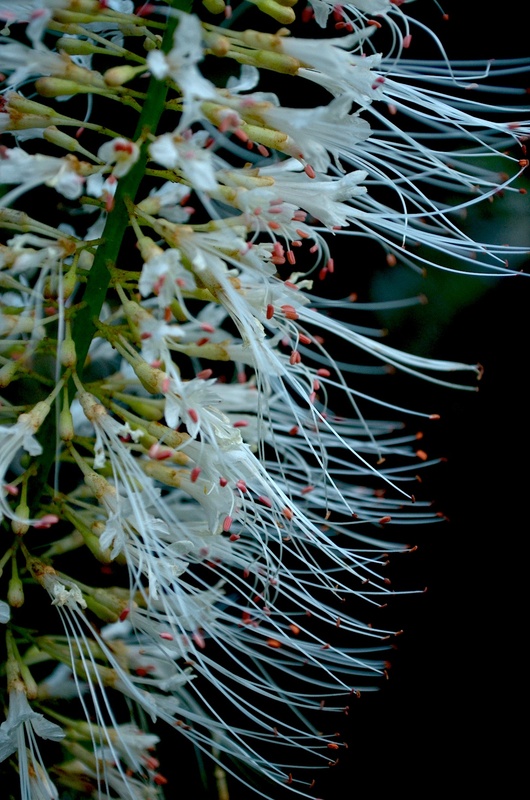 The candelabra-like racemes of white flowers with excerted stamens cloak the plant in early summer and are attractive to hummingbirds, butterflies and humans, alike. You need about an 18' footprint for this one, as it grows! A real conversation piece! Easily grown in average, medium, well-drained soils in part shade to full shade. It prefers rich, moist loams and is intolerant of dry soils, particularly in the early years before its root system becomes well established. Pruning is usually unnecessary, although be prepared for it to become broad in girth! . Though native to rich woodland areas in Alabama, Georgia, Missouri and northern Florida, it is winter hardy throughout USDA Zone 5.